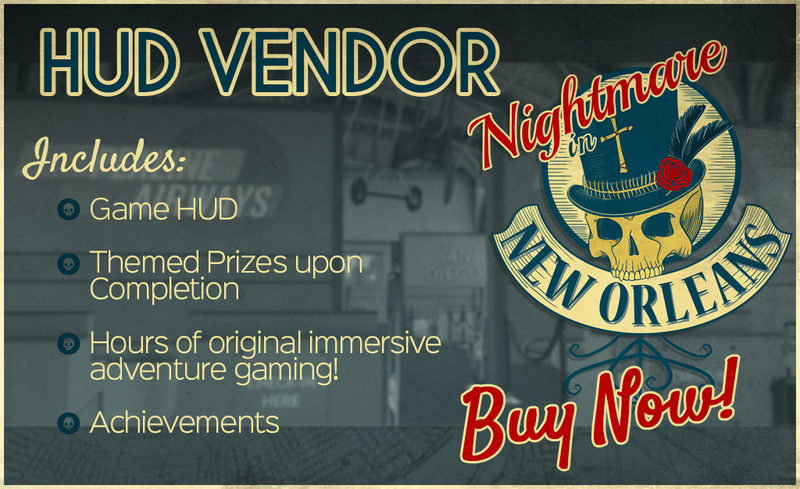 Will you risk the dangers of the Bayou to uncover its darkest secrets? 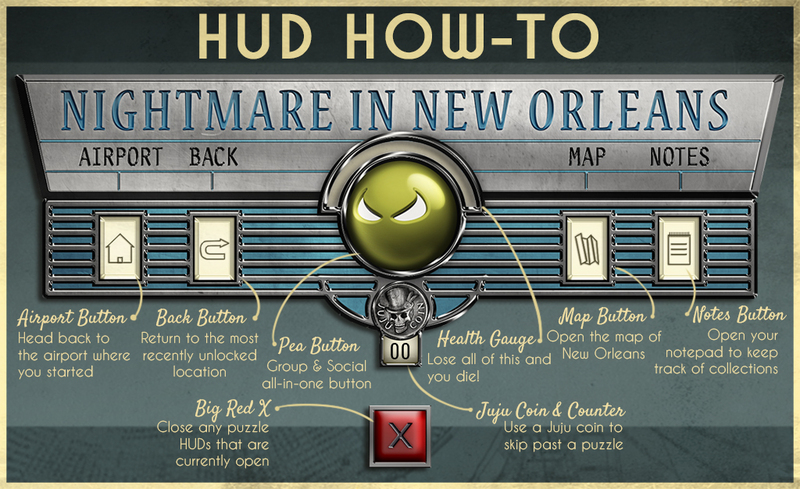 Nightmare in New Orleans is an original mystery game with puzzles, combat and an immersive story set in the 1950’s. You play as the sibling of a private detective who has gone missing after working on a mysterious case in New Orleans. Concerned, you go to the airport and get on the first New Orleans flight possible to find out what’s happened. This game is rated moderate for some scary and spooky elements. The HUD is very simple. Right click it in your inventory and select ‘Add’. It will find its home on the top left side of your screen. The HUD makes use of the “Experience Key” tool. This tool makes it so that you are required only once to give the HUD permission to do things like teleport you and attach objects to your avatar. If the Experience Key fails, simply detach your HUD then reattach it. Make sure that you have given your HUD the permissions it asks. 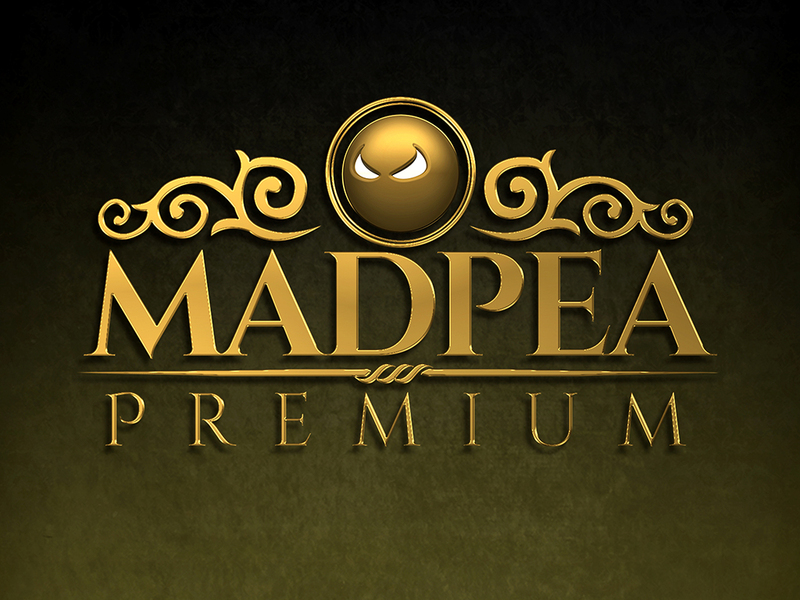 PLEASE NOTE: IF YOU HAVE PREVIOUSLY PLAYED RECENT MADPEA GAMES, THE HUD ONLY ASKS TO TELEPORT YOU. For fullest immersion, be sure to enable sounds. 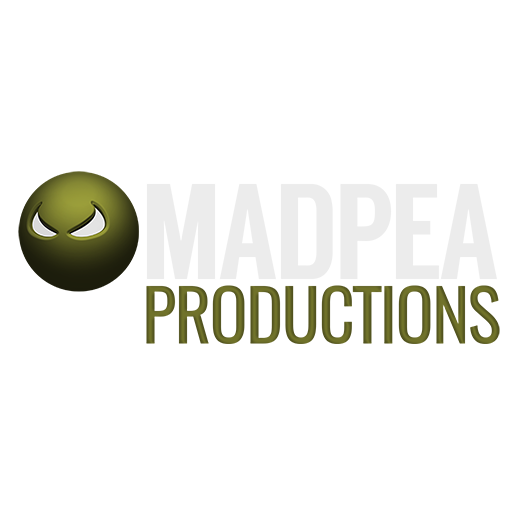 This game relies heavily on sound design, make sure your sounds are at a comfortable level so that you can hear well. All important parts are also repeated in local chat as text. Please give the HUD and the game surroundings time to load. 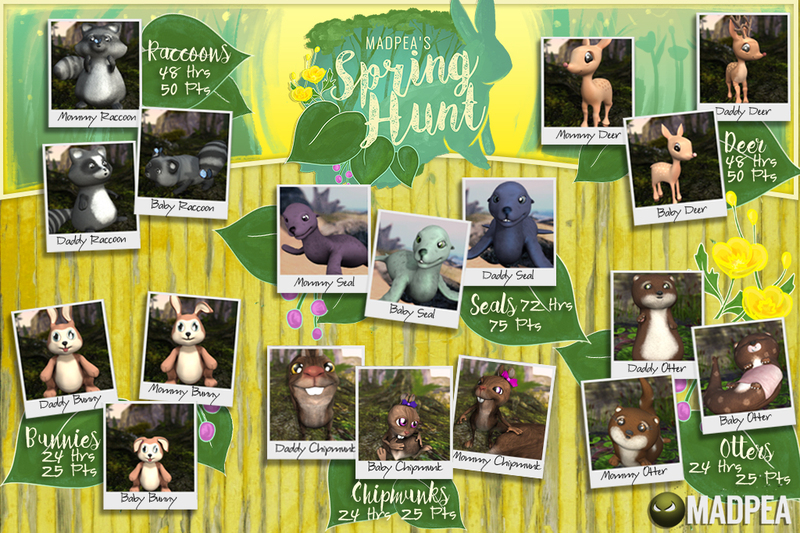 There is a lot going on! By going slowly, you not only absorb the story more deeply, you are also more aware of what you need specifically as opposed to clicking randomly and bouncing into walls that haven’t rezzed yet. 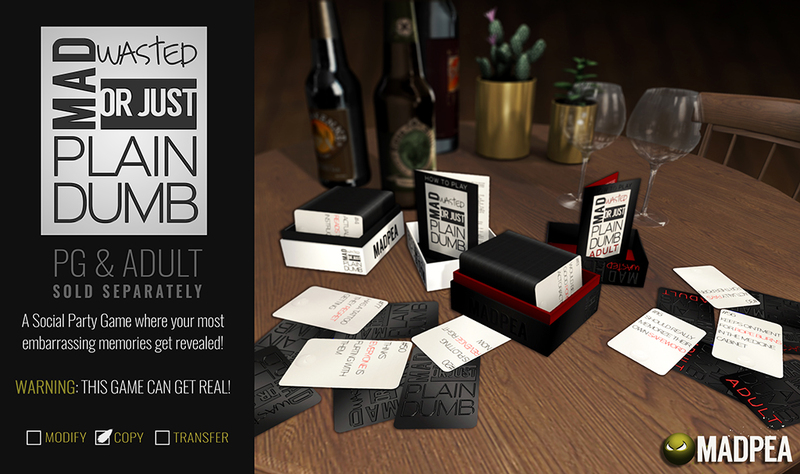 Also… Make sure to pay attention to nearby chat for instructions and clues/hints. The game is full of intriguing puzzles. They have been tested thoroughly and have been rated as moderate on difficulty level. 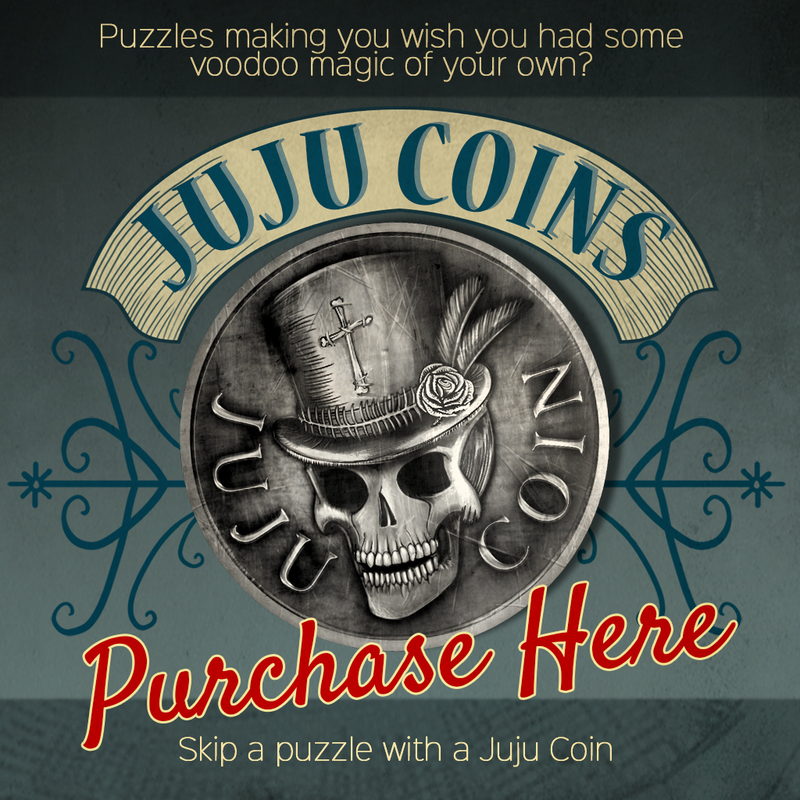 If you wish to skip a puzzle in a game, you can do that by choosing to buy JUJUs and spend one. Each skip costs a JUJU. You can purchase JUJUs at the game start from this sign. 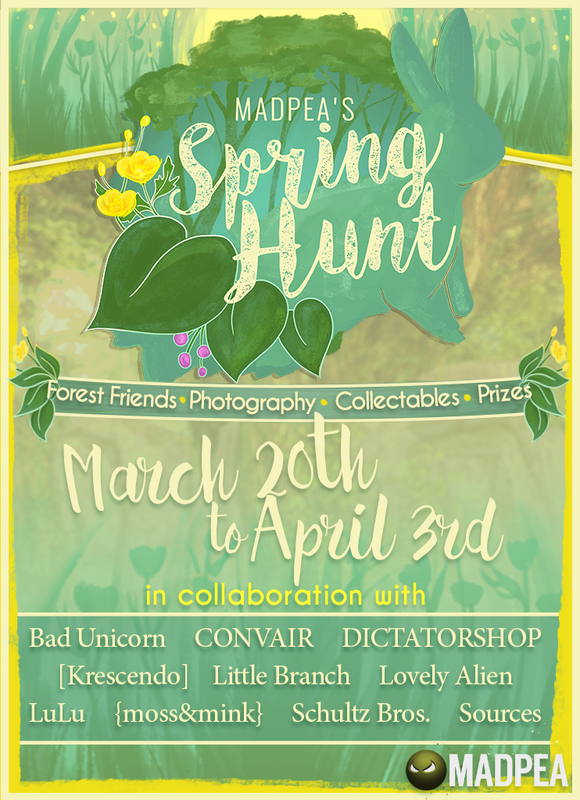 Leveling up at MadPea earns you exclusive prizes. Click on the Pea button on your HUD and choose RESET. Now, you can play again from scratch! 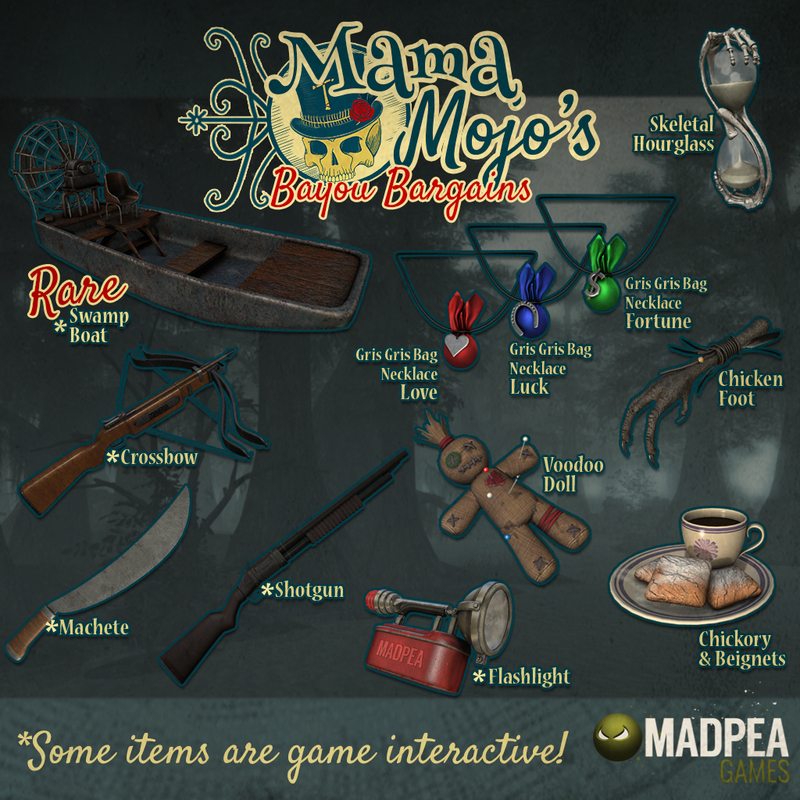 Mama Mojo has some fabulous Bayou Bargains for you! Some items are great voodoo souvenirs while other items can give a big advantage in the combat part of the game. 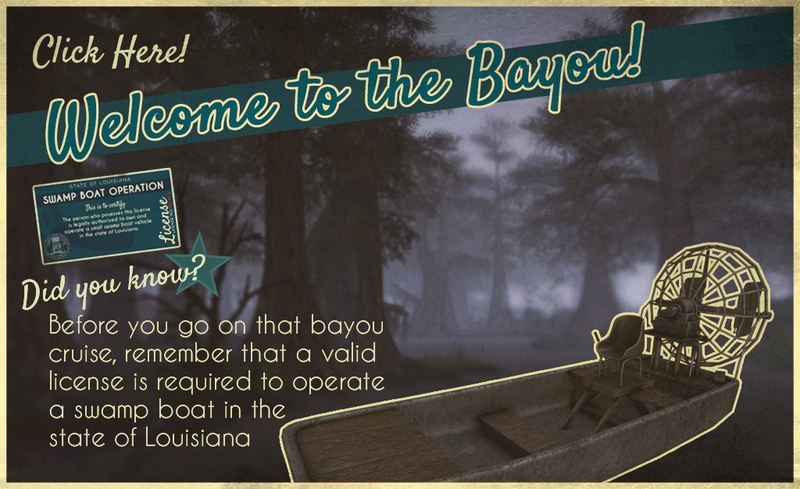 If you want to skip past the combat zone at the Bayou, the boat will kill anything getting in its way! Make sure you have a license to use it and click this sign. 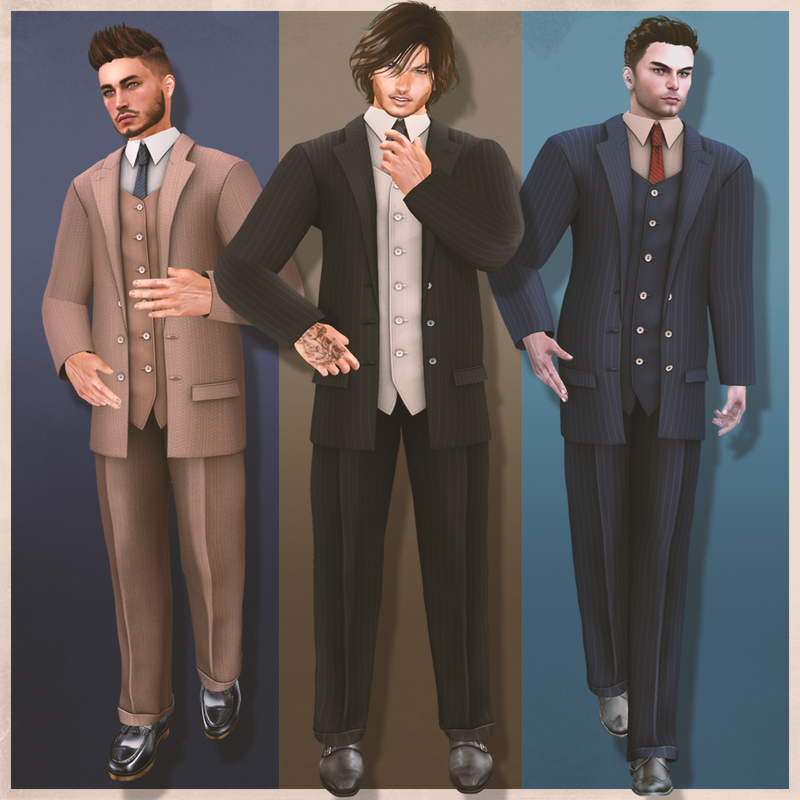 To dress up in the 50s style we have custom made outfits available that fit most mesh bodies! Should anything happen beyond our control that disrupts or halts the game, we will announce it via group notice at the first possible opportunity, providing further instructions relevant to the issue. You are allowed to communicate in group chat and help each other out. You are however NOT allowed to give out direct answers and slurls. 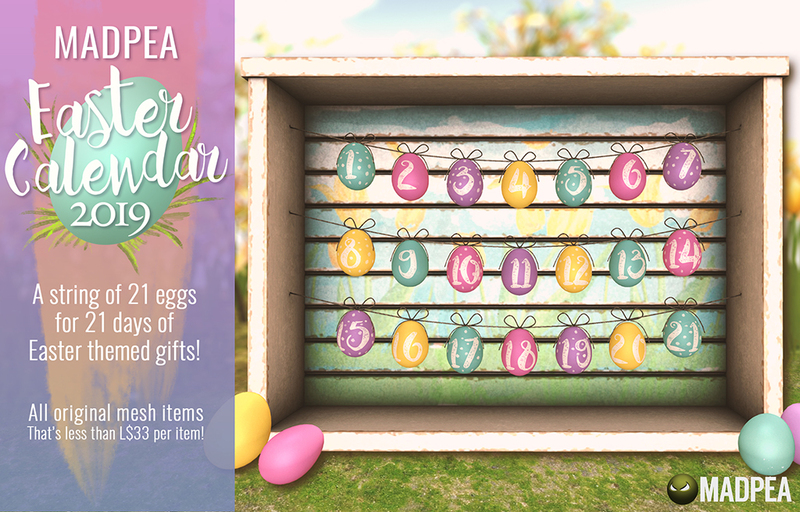 Everyone will receive 11 exclusive game themed prizes upon completion. 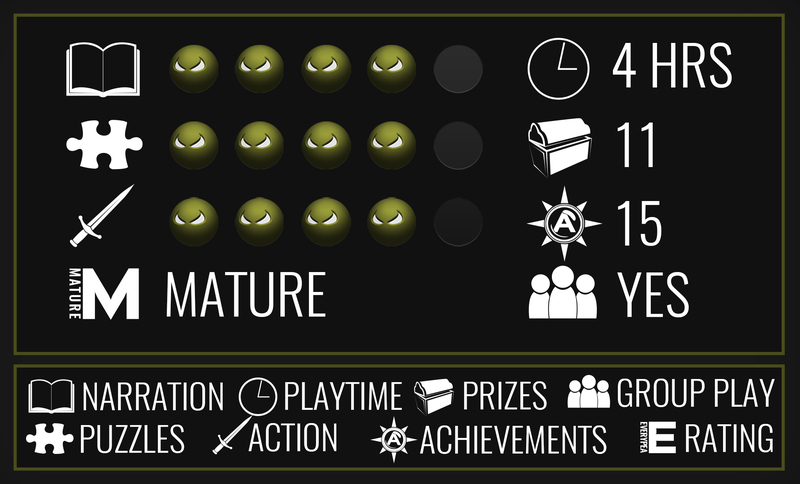 It is possible to earn 15 achievements during this game. NO HUD REFUNDS – make sure to read all rules before you play.